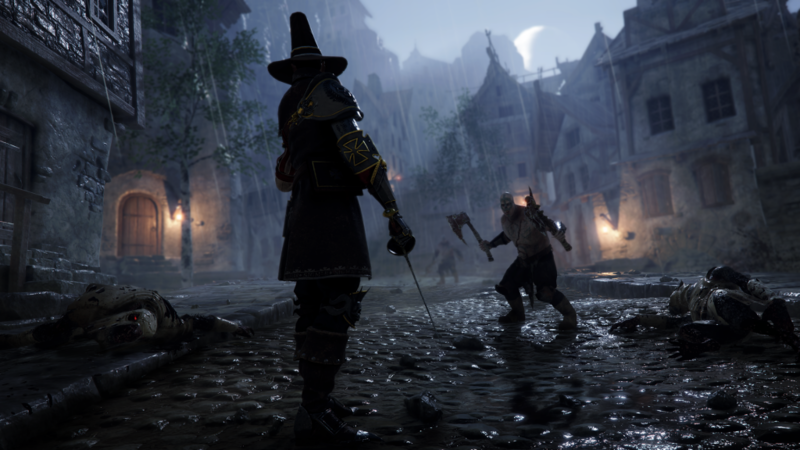 Warhammer: Vermintide 2, much like its predecessor, is a co-operative focused, melee-heavy, online survival hack-and-slash set in the grimdark world of Warhammer Fantasy. Set primarily in the Reikland — where we had survived by the skin of our teeth in the first Vermintide — we are dropped back into the boots of the five protagonists from the first game: Witch Hunter Victor Saltzpyre, Empire Soldier Markus Kruber, Elvish Waywatcher Kerillian, Dwarf Ranger Bardin Goreksson, and Bright Wizard Sienna Fuegonasus. Vermintide 2 picks up not long after the end of the first game with the player coming to locked in a cage that is being moved along an overhead track that carts us around Clan Fester’s nest à la Half Life 2’s Citadel pod ride. During our cinematic journey, we see our new antagonist Bödvarr Ribspreader, Chaos Champion of Nurgle and leader of the Chaos Warband Rotblood, talking with Grey Seer Rasknitt, leader of Clan Fester and the antagonist from the first game thought to be dead at the end of Vermintide’s campaign. Here we learn that the forces of Chaos and the Skaven have teamed up to build a device called a Skittergate (a sort of two way teleporter powered by warp stone) so that Bödvarr’s Chaos army can more easily invade the Reikland. Of course, being the shambling mess that Skaven technology is, the Skittergate doesn’t work but instead malfunctions and knocks our hero’s cage loose from the track. From here, we collect the rest of the heroes before escaping to Taal’s Horn Keep, Vermintide 2’s hub area, which we find is being cared for by a familiar face; Franz Lohner, former proprietor of the Red Moon Inn which served as the hub in the original Vermintide. From our new secret location, we start on the task of beating back the joint Chaos and Skaven hordes. 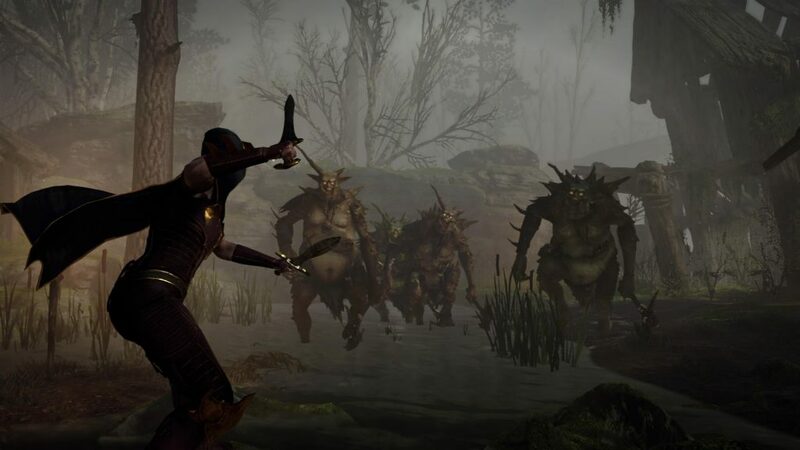 Improved on the original – Vermintide 2 doesn’t break the mold in terms of sequels but it does exactly what it needs to do; it moves the series forward and improves on the original. Those improvements include the addition of the Chaos faction which help to break up the never ending stream of Skaven that assail us, adding multiple classes to each of the five characters, and new level design choices that seem to pay off by delivering experiences that are far more memorable than its predecessor. A fun experience – There was some worry that, like many games in this genre, the continual ‘do an objective, murder hordes, repeat’ formula would not hold interest for long. However, the variety of weapon choices, the addition of multiple classes for each character, the diversity of environments, and, of course, the ability to play with friends helps to make this a title that I’ll be enjoying for quite some time. 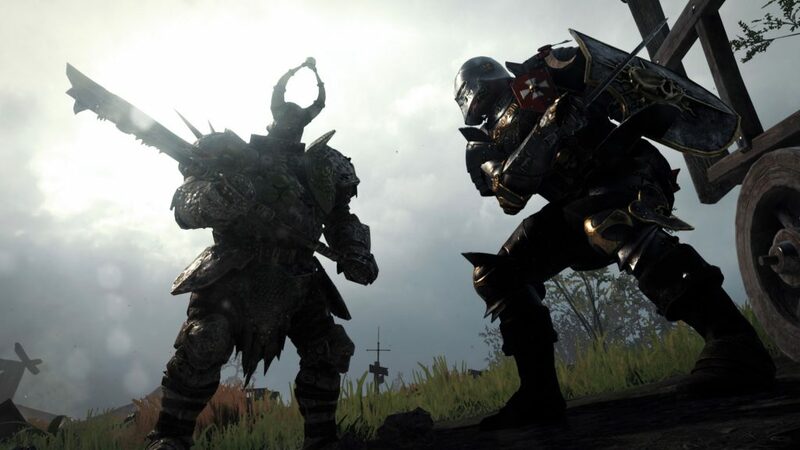 Captures the essence of Warhammer Fantasy – Fatshark has gone to great lengths to make Vermintide 2 feel like it belongs in the fantastical and grimdark world of Warhammer Fantasy. Characters, locations, the overall lore, even the lead up to the End Times (pretty much everybody’s dead save for a few factions and the Skaven are at the heart of this problem as well) all fits perfectly into the dismal world portrayed in Games Workshop’s tabletop miniature game. It’s not only the sublime storyline, either, but also in the great graphics and soundtrack that follow suit. Technical issues – Vermintide 2, as of right now, is still riddled with technical issues. These issues are not so much mechanical issues that interfere with the game itself but are simply immersion-breaking issues that I feel a bit more polish could have gotten ironed out. Two examples are textures taking a moment longer to load into an area or the very bottom of inaccessible pits not having an actual bottom but instead exposing the bottom of the sky box. Needs an update (badly) – While the core of the game is functional, there are several issues that still exist. One such issue, which is also pointed out in the loading screens, is that premium items (those obtained through purchasing the collector’s edition) are not being fully unlocked for users who own them. There is also the issue of the ‘pre-order’ button still existing in the pause menu (this is where it was located during the beta) yet the game has been out since the 11th for Xbox One. Personally, the premium items issue is a bit more significant than the ‘pre-order’ button one though. No dedicated servers – Something that irked me during my playthroughs was when another player (usually some random) would be downed in the most critical part of the area in the last few seconds before the end of the mission. Teammates will go down, that’s undeniably part of the game, but the worst of it comes when this downed teammate doesn’t want to be counted as dead when the mission ends and, instead of either waiting for a revive or losing the few points their life is worth at the end of the mission, they decide that quitting is the best course of actions. This wouldn’t be so bad if it weren’t for the lack of dedicated servers; without them, there’s a good chance that the person leaving could be the host and, in the process of leaving, they end the entire session and wipe out the last thirty minutes or so of slogging though one of VT2’s normally long missions you and all your teammates have done. Vermintide 2 is by no means a perfect game but neither is it broken. Its core features function as intended and it builds off the original in meaningful ways. 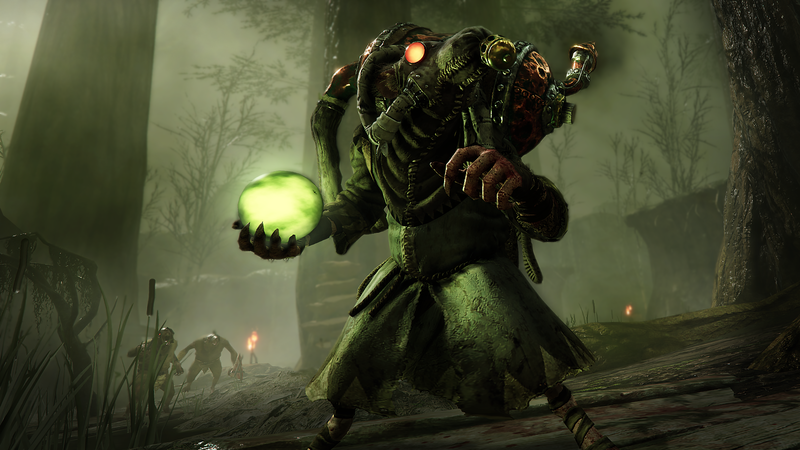 There is still plenty of room for improvement though and, with a bit of luck, Fatshark isn’t browsing the forums looking for ‘what to work on next’ suggestions as most of those are so rubbish you’d think the Skaven are dropping the suggestions themselves. 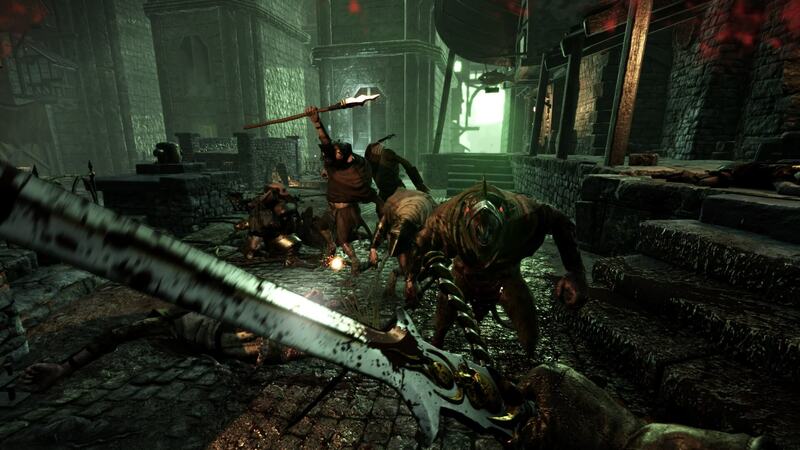 Warhammer: Vermintide 2 was developed and published by Fatshark. It was released for PC on March 8th, 2018 and Xbox One [reviewed] on July 11th with a PlayStation 4 release expected to release later this year. The reviewer provided their own copy of the game. Many studios submit copies for site review but this is in no way factored into our review scores. Games are scored on their individual merits and our rating system is explained here.